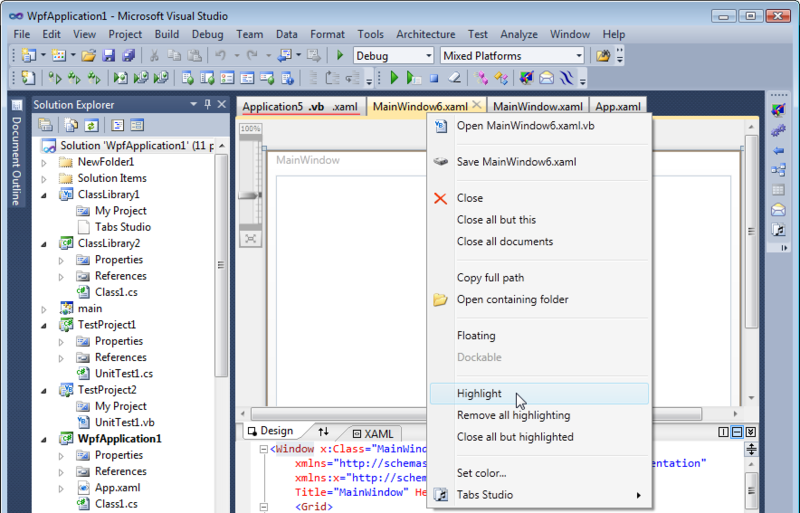 I’ve also fixed loss of highlighting in Visual Studio 2010 when switching to the full screen mode or starting a debug session. Such a simple change and one that, all of a sudden, makes TabsStudio even harder to get by without! I would love it if Tab Studio would remember which tabs I’ve highlighted when I close VS, so that they are highlighted automatically when I re-open the solution/project. Thank you for the feedback. I’ll add save and restore of highlighting. I’ve added saving highlighted tabs state for a solution: see Remembering highlighted tabs. Awesome! Thanks so much, this is great!